The Zowie EC2-A (and EC1-A) has been lauded for many years now as one of the best gaming mice on the planet. You can read why that is in our full review here. 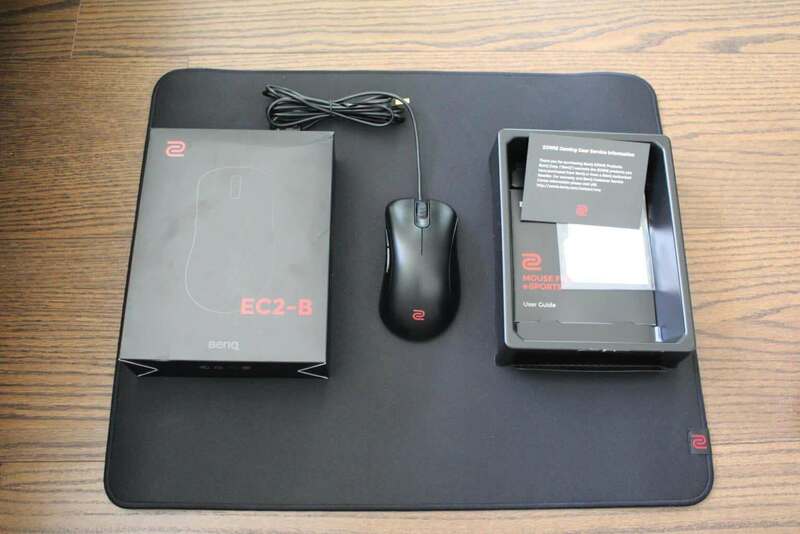 Users have been calling upon Zowie to implement the newer 3360 sensor in their lineup of mice for a while now and Zowie has answered the call in the form of the EC2-B and EC1-B mice. Is this new version really an upgrade over the A series or is it a swing and a miss? Find out in our review below. 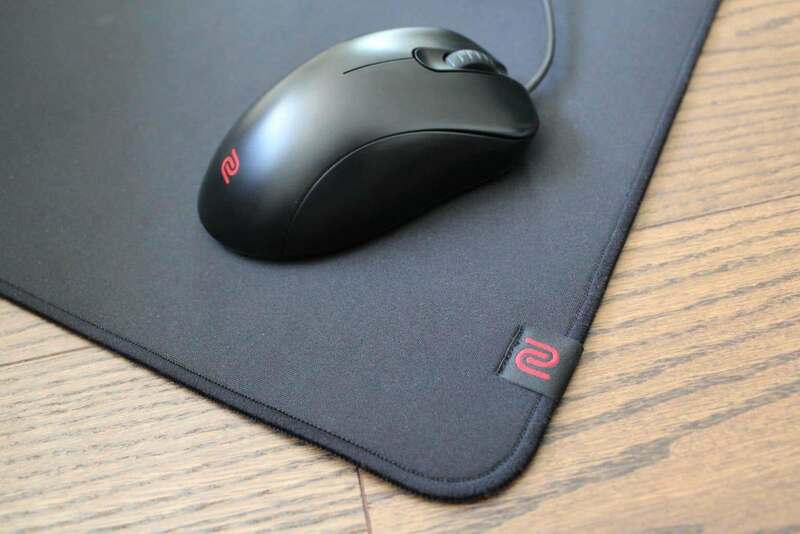 This is nothing new for most experienced gamers, but Zowie products are all about performance. RGB lighting and other shenanigans will not help you click heads ingame so Zowie doesn’t care about that stuff. The EC2-B might look unassuming, but there’s plenty going on under the hood. The EC2-B will not look out of place in class or in an office environment, since it doesn’t sport any LED strips or aggressive logos. It’s finished with a small (red) Zowie logo towards the back and a very small BenQ logo on the side. The shape and feel of a mouse is one of the most important aspects of a gaming mouse. The EC2-B is a medium sized mouse (the EC1-B is the larger model) and weighs in at around 90 grams (3.2 ounces), which makes it a pretty light mouse. It’s ergonomically shaped and features two side buttons on the left hand side. The shape has been designed to accommodate a wide variety of grip styles. All Zowie mice come in a sleekly designed matte black package and obviously the EC2-B is no exception to that. A huge plus in my opinion with Zowie mice is that, included in the package, you get a pair of replacement mouse feet for your mouse. The EC2-B features no less than 16 replacement feet, meaning you can change all the feet on your mouse four times. Big ups to Zowie for that. Undoubtedly one of the major advantages of the EC series is the shape. Zowie made no changes to the widely lauded shape of the A series (at least no changes that I could personally notice) and that is by no means a bad thing. The shape of the EC series is simply one of the best on the market, so there is no reason whatsoever to be changing that around. The EC2-B features an ergonomic design with a relatively safe shape. There are no awkward humps or features on the mouse which take time to get used to, nor are there any design choices where you’d be inclined to think ‘why would they do that?’ It’s not that easy to explain, but the EC2-B really has been expertly designed and you feel that once you hold the mouse. I try not to be too hyperbolical when describing features that I like, but the shape of the EC series really does deserve some love. Let’s just say that there is a reason that so many people absolutely love the design of the EC series. The side buttons are placed very conveniently, so they do not get in the way or are hard to reach. The mouse coating is not the best though, to put it rather kindly. It’s a kind of mixture of glossy and matte black, and though it does its job I personally didn’t like the feeling of it very much. I’ve seen people reporting that they found the coating to be pretty slippery, but that was not the case on my model, even with my hands getting pretty sweaty when I’m gaming for long periods of time. What I did notice was that the mouse tends to pick up on oils and sweat pretty easily and quickly, which can make the surface of the mouse feel a bit icky, so to speak. I’m pretty sensitive to that stuff (which is why I never use glossy mice) and it’s solved relatively quickly by cleaning the mouse, but it’s still a bit of a downside. The mouse feet on the B series have been changed, with Zowie going for four small mouse feet as opposed to the two large feet featured on the A series. This makes the B series glide a bit faster and more aggressively than the A in my opinion, but whether you like that or not is obviously a matter of preference. I tend to prefer larger mouse feet, but I can’t say that I had any real issues using these. 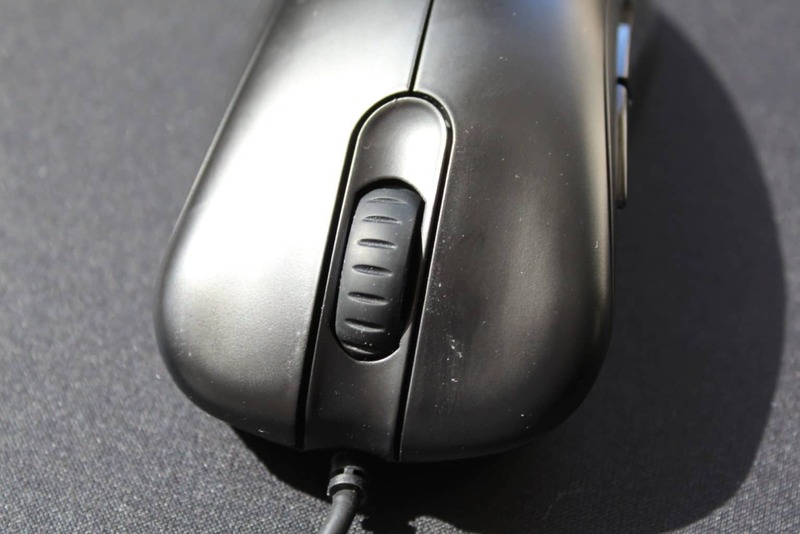 The DPI button is located on the bottom of the mouse, which has been done to eliminate the possibility of accidentally clicking it while ingame. I don’t have an issue with that since I don’t change DPI on the fly during gaming, but gamers who like to do so should take note of this. The left and right clicks provide a rather heavy, though crisp and uniform clicking experience. There are definitely mice out there with a lighter click, though that doesn’t have to be a problem, as some people (including myself) prefer their clicks to be a bit sturdier. When the EC2-B initially came out there were complaints about the clicks feeling mushy, but I can’t say that I have experienced that on this copy. The side buttons seem to be improved in comparison to the A series. They feature a little less travel time and a more uniform click. They’re still not the very best out there (the side button towards the back felt a tad mushy to me) but they do the job just fine. The scroll wheel has fewer steps than most mice and also feels rather rigid. This will please some people and annoy others. The reasoning behind having fewer and more defined steps means that it’s harder to accidentally skip a step when you’re switching weapons using the scroll wheel, for example. This is fine for gaming but it’s not ideal for browsing because of the fewer steps. Additionally, the scroll wheel is also quite loud when compared with most other gaming mice. Check the videos to get a feel for the mouse! I put every mouse that I review through a phase of rigorous scientific testing, which includes slamming the mouse on the desk for a few times and squeezing it as hard as I can to see if there’s nothing rattling or making noise when it shouldn’t be. The EC2-B did fine in all of those tests. When I do a quick long flick or fast sudden movements I can hear a bit of a ‘tick’ sound when I stop the mouse or change directions, but it’s not loud enough to annoy me and I also can’t feel anything moving. Previous iterations of the EC2-B had an issue with coil whine, where the micro vibrations of the sensor produced a rather high pitched beeping tone, which could get quite noticeable on some units. Zowie has since released a statement saying that they were working on fixing that, and on my unit I had no issues with coil whine, despite using the mouse (and leaving it plugged in) for days. Mine is from the 3/18 batch, for reference. I obviously can’t say with confidence that the issue has been fixed for all units, but my mouse was quiet throughout the entire review process. When I put my ear up right next to the mouse in a completely silent environment I was able to make out a very quiet buzzing sound, but that’s not something you’ll be able to hear during normal usage (even if you listen for it) so that’s a non issue for me. As per usual the cable on the EC2-B is great. It’s a thin and flexible rubber cable, which will not get in the way of your gameplay, even if you’re not using a mouse bungee, so as per Zowie tradition the cable is an absolute plus. 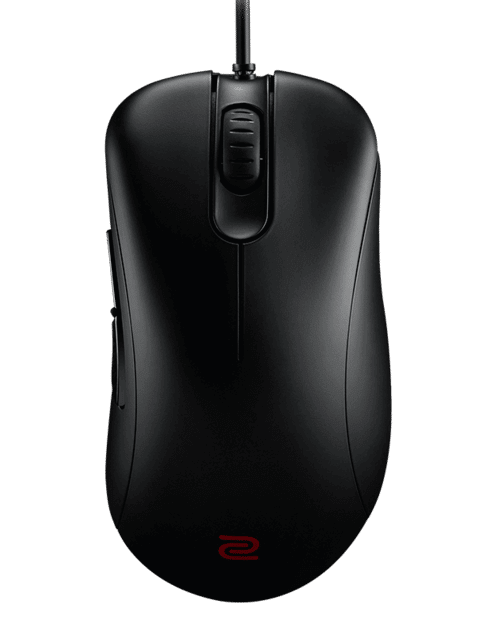 The main reason for the existence of the EC2-B is the 3360 sensor which is now included in the mouse. The 3360 is a flawless sensor which will not spin out under any conditions, not even when tilt-slamming it (which is the only way you can make the 3310, which is another popular sensor, spin out) so as expected the performance is absolutely flawless. I test the sensors of mice in Paint (to check for smoothing and other cardinal gaming mice sins) and a variety of games, including FPS Aim Trainer, Overwatch and less aim intensive games, and the performance of the EC2-B has been stellar all throughout. We all know how good the 3360 is, so no surprises on that front. 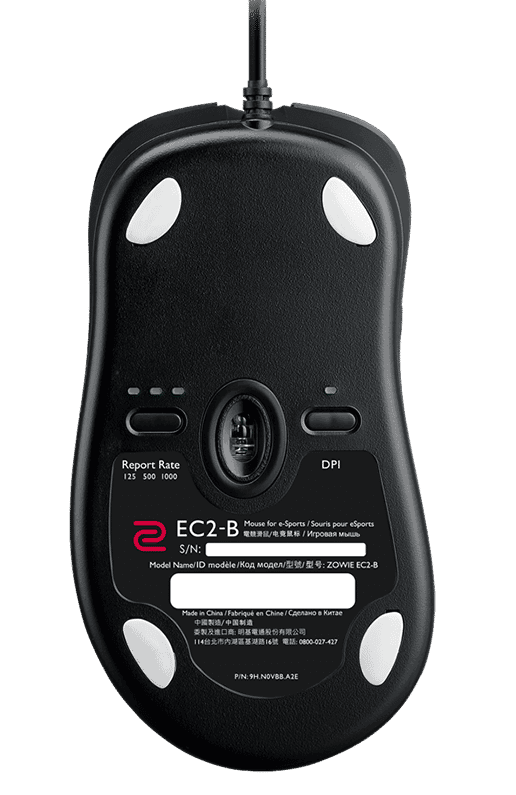 The EC2-B (as with all Zowie mice) is plug and play, meaning that you just have to plug it in and it works. No messing around with drivers or software; connect it, set your DPI and polling rate (which is done through buttons on the bottom of the mouse) and get to clicking heads. One of the most important aspects (arguably the most important aspect, depending on the genre) of a gaming mouse is the ‘fit’. If you don’t feel comfortable holding a mouse then it doesn’t matter if it has all of the best components. Shape and comfort is one of Zowie’s major focus points with their mice and the EC2-B is another worthy addition to their lineup in that regard. This is where the EC2-B really shines. The mouse will fit nearly all grip types (depending on the size of your hands, of course) and is shaped in a way that requires virtually no break in time. Most gamers will find little to no issue getting used to this one. If you are having doubts on whether or not you’ll like this one and want to try out the shape you can grab an EC2-A, since the shape has (luckily) not been changed. The EC series has been a staple of the gaming world (and mainly the CS:GO world, where it’s by far the most commonly used mouse) for some time now and with the B series Zowie has managed to, after a few QC hiccups with the first couple of batches, improve upon that tried and true design by adding the 3360 sensor. The major changes in my opinion are the mouse feet (which make the mouse glide faster and more aggressively) and the inclusion of a 3360 sensor. The side buttons have had some improvements and the coating has changed (and not for the better), but those changes are rather minor in my opinion. It’ll be up to the consumer to decide whether or not the changes that Zowie has made are enough to justify the purchase of an EC2-B if they have a perfectly functioning EC2-A, but the EC2-B series is, despite a few flaws, definitely a top tier mouse and a logical successor to the immensely popular EC2-A. Should i buy EC2-A or EC-2B? Why most CSGO pros haven’t changed A to B yet? I’m curious. Just thinking to get EC2-A. How can I choose either EC1 or EC2? i currently have a rival 300 using a somewhat palm/claw hybrid grip? Which mouse do you recommend the ec2-a or ec2-b with a mouse pad Zowie G-SR would be the best combination? 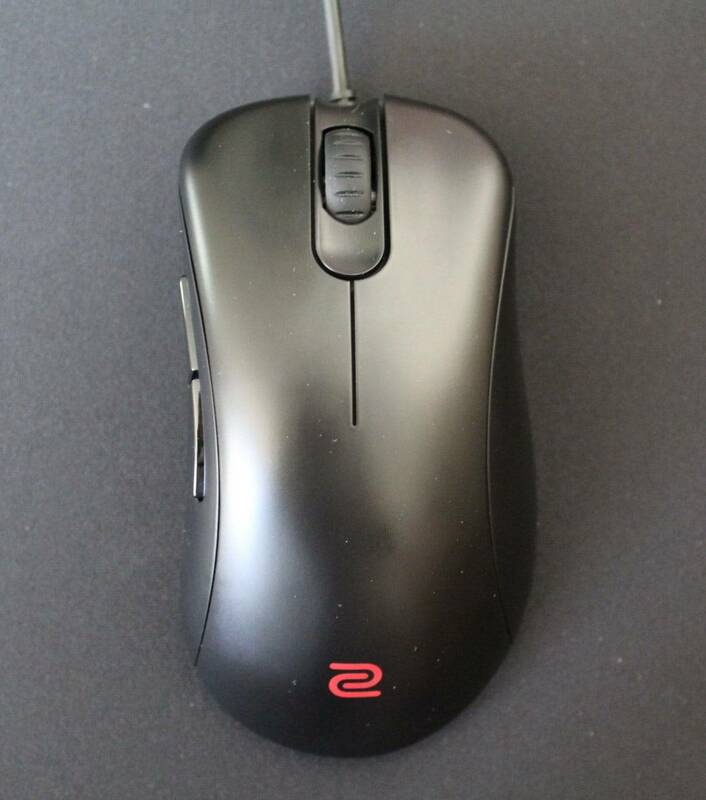 does the Zowie EC2-B have rubber sides? No, it’s the same material on the whole mouse. Default LOD comes with zowie is “mouse5 + mouse1” correct? The EC2-B has a better sensor, but also features smaller mousefeet when compared to the EC2-A. Changes have also been made in the coating. I’d say if you still have the chance you should go for the EC2-B but if not the EC2-A is still a top mouse, as evidenced by the pro usage. Hey! I’m in doubt if i should change my Logitech G502 (2.5 years of 2 people using it) for this mouse, my grip is palm and my hand size is 17 cm x 9 cm i also sweat a bit so this mouse can fit with me? do you have this problem on this mouse? No, the mouse didn’t have that issue. If I find any issues with mice I’ll always report them in my review, even if they don’t necessarily annoy me. Hi, I was wondering how to program the side buttons? If I am playing csgo for instance, can I program it to jump+throw? I’m osciliating between the EC1B and the EC2B, size spoken. My hand is 20cm’s long. Years ago my favourite mouse no1 was the microsoft intelli mouse explorer 3.0. Some days ago i was checking mice and found the death adder very comfortable. Whats your advice on the size? Thanks, glad you liked it! Considering size: your hand is sort of on the line between the two in my opinion. If you like your mice to feel smaller I’d go for the EC2-B, and if you like your mice to have a bit more presence in your hand I’d opt for the EC1-B. I know this sounds like it doesn’t help much but I think your hand size could work for both mice so it’s really a matter of preference, though the Deathadder is definitely a more ‘prevalent feeling’ mouse so if I had to guess I’d say you should go for the EC1-B. Hope this helps a bit. I bought an EC1-B but being for years I played with a logitech G300-S and it seemed too big for me…! So I sent him back and bought the EC2-B. Otherwise she is great but I could not play with that size. For information I have hands of 20 cm. I hope you’re liking the EC2-B! Getting the perfect mouse is definitely not something that comes easily so it’s a journey for all of us, haha. I have a question about the benq mouses. It is kind of out dated and I want I new mouse. the question wich one is best suited for my hand. I prefer the latest and newest sensor. and I would like to buy one of the new pink editions. My own hand is 18 cm long from wrist to top midle finger. and about 10, 10.5 cm width. wich of the mouse and mousemat would u recommend? I really like big big mousemats. Well, it depends on what you like, shapewise but if you liked the Kana V2 and want to buy a pink Zowie mouse I’d say to go for the Divina S2. If you like your mice to be a bit bigger you can obviously opt for the S1 as well. The largest mousepad I’ve personally used is the Glorious 3XL, which also happens to be a great pad in my opinion. Otherwise the HyperX Fury S Pro can also be bought desk sized and it’s also a really solid pad. If you want more control on your mousepads you can definitely opt for a Zowie G-SR as well to match your new mouse. Hope this helped, let me know if you have any other questions or remarks! I have bought the logitech 305. Have to say that I love it. But I still want a mouse with a cable.. uhm so the question stay’s the same wich pink zowie mouse is the best for my hand size.. I have a mixt grip. It sits between a claw/palm grip I think. Does that make a difference in your oppion or does your answer stays the same? If you want a Divina mouse I’d go for the S2, but the ZA12 would be a good fit as well if you’re more of a palmer. I have just received my EC1-A and i have to tell ypu that i am loving it. However the scrollwheel is loud and abit stiff. Does the EC2-B have the same stiff mousewheel as the EC1-A? The EC series isn’t known to have the smoothest mousewheel. They’re made that way to make it easier to distinguish steps ingame (for when you’re using it for switching weapons, for example). That said EC2-B has a smoother mousewheel, but not by much. I heard that you can MODIFY the scrollwheel of the EC mouses by opening em’ up and taking out the resistor thingy, making the scrollwheel smoother and feel less stiff, making it more suitable for browsing. However i am afraid of breaking the mouse if i try that. There are all kinds of mods people do to their mice (replacing the feet and cable are the most common ones) so I’m not sure if the scrollwheel thing is something widely done to be honest. I would personally advise against it, unless you’re experienced with taking apart electronics and devices like that. Should you decide to go ahead with it then please make sure that you’re well prepared and have read the instructions thoroughly. Do know that taking apart a mouse will void your warranty in most cases as well. I currently use the Logitech G403. Which mouse would you recommend so I can get familiar with the size? EC2-B or EC1-B? With that hand size you are most likely better off with the Zowie EC2-B. If you like the size of the Zowie EC1-A however then the Zowie EC1-B is fine as well. That entirely depends on what you’re looking for in a pad. The EC2-B has a slightly more aggressive glide than most of its Zowie counterparts so maybe a true speed pad isn’t a good idea. You could try pairing it with a G-SR, for example. That’s a pad that offers a lot of control. In case you haven’t yet I’d encourage you to read our reviews on pads so that you can make an informed decision! What mouse is better BenQ Zowie EC2-A or EC2-B??? EC2-B in my opinion, it has the better sensor and the QC issues have been ironed out. Hi so i’m wondering what is the report rate under the mouse ? Also which one should I use, because I’ve never had any mouse where I can to manually change something called a report rate. It just means that you can change the report rate on the mouse itself. If you look at the picture of the bottom side included in the review you can see the button and the leds above it. One led lit means it’s on 125, two 500, and 3 1000. I have a rival 300 right now and I don’t have that option. When switching to this zowie mouse, which report rate should I choose ? I mainly play csgo. My main goal here is to know what report rate to use once I do get the new mouse and make it so it doesn’t feel to much different from my old mouse. You should be using 1000 Hz on the Zowie EC2-B. Hello,i use logitech g502. I want to get a zowie,but i don’t know wich one. I want to be the same size like g502. What do you recommend me? Thanks! If you like the shape of the G502 I’d recommend the EC2-B. It is slightly smaller than the g502 but not by much. maybe switch to zowie ec2b,ec1a, fk1? Since those are ergo mice I’d recommend the EC2-B if it was between those. I’m going with the EC2-B Divina. Just because of the material and the mouse feeds are bigger. I also wanted to ask you what the grip width is. The width of the EC2-B’s shell is about 6cm at the front, 6.5cm near the middle and then around 7cm towards the back. Good evening the new series “Divina” has come out and according to what I have read the new Ec2-b has improvements with respect to the other EC versions and the S2 is an improvement also of the FK. Currently I have a logitech g203 but in most cases I feel heavy and the sensor with imperfections. Gathering information the Ec2-b feels like a glove but with the S2 it is better targeted. Today I felt that the g203 weighed less and aimed better playing csgo, or maybe it was that I slid the mouse better. According to what I said, do you think I should choose the S2 because of its weight? , I am afraid that I choose S2 and then I do not like it because it is longer than Ec2-b. I’ve been testing the S2 (review will be up soon™) and I can definitely say that it has a great shape. The S line doesn’t replace the FK line, so whether or not the shape is better is subjective of course. It could be that you’re getting used to your G203, which is why it feels better to aim with, by the way. No idea how long you’ve had the mouse, but just saying. In any case, I can definitely say that the S2 is a great mouse, but the EC2-B doesn’t feel heavy (to me) either and has an absolutely amazing shape. The EC2-B Divina has larger mousefeet as compared to the regular one and has the info label (on the bottom of the mouse usually) moved to the cable so that there’s no possibility of it dragging on the pad whatsoever. Both are great mice in their own right, but if you’re a claw gripper I would definitely recommend the S2 if you’re going for a Divina product. I was really impressed with it when I first held it and I remain impressed with it throughout the testing process. I’ve been with the Logitech g203 for over 1 year and it always felt a little heavy. The logitech weighs 85g, Ec2-b 90g and S2 82g. Is there a difference between 85g and 82g? I’m excited for the S2 do you think I should buy the mouse once or wait for more time to future versions? Thank you very much for the response and I will wait for your review of S2. No problem, that’s what I’m here for. I have to say that 85 grams considered to be that heavy though, usually. All things considered that’s pretty light for a mouse, so if you’re looking for the lightest mouse available I would maybe suggest to wait for the Glorious Model O mice. They’re not out yet, but preorders should start soon and those are going to be about the lightest mice you can buy at this moment. There’s also FinalMouse but their mice release in very, very limited quantities and aren’t easy to come by so take that for what it’s worth. In any case, I personally don’t really feel a huge difference between 85 grams and 82 grams. Some people are more sensitive to this stuff though, so your mileage may differ. The quest for a perfect mouse is probably a never ending one, so waiting until new and improved versions come out can lead to never really buying another mouse, if you get what I mean. That said; I can say that the S2 is a really good mouse, but if you absolutely want the lightest mouse you can buy I’d look towards Glorious. If i have a hand of about 19.5 cm long and 10 cm wide, would you recommend me the EC1-B or the EC2-b? Or would you recommend something like the G403? I’ve used the first Rival mouse that Steelseries made about 5 years ago, and even though i might have gotten used to the big shape and weight i still feel like i can gain alot of precision with a smaller, lighter mouse. I would recommend the EC2-B then, based on what I’m reading here. G403 is also a possibility, but it has a pretty large hump. Some love that and some people really hate it, so it’s best if you could try out that shape first I’d say. That goes for all mice but doubly so for ‘love it or hate it’ products. 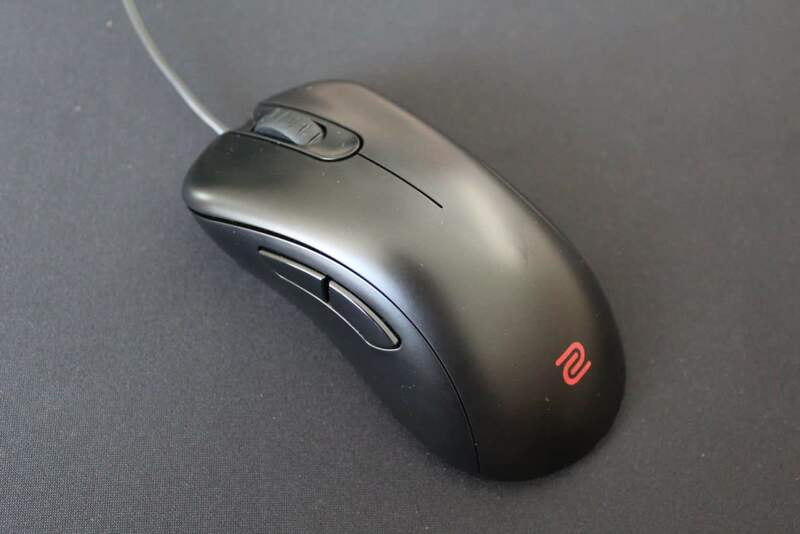 How do I know what button is number 4 on the zowie EC2-B mouse? The side button that’s closest to you when holding the mouse normally is number 4.
i’m wondering which mousepad is better for ec2b ? Between QCK +/Heavy or Zowie G-SR ? Depends. If you like a pad that offers a bit more resistance and control you should go for the G-SR. The QcK Heavy offers a speedier glide, so if that’s what you’re after that could be your choice. We have reviews up on both of these pads, in case you haven’t checked those out yet! Hey I currently have a Razer Deathadder. It fits me pretty well. Should I go for the Medium or the Large version? If you like the size of the Razer DeathAdder Elite you should go for the Zowie EC1-B. How does Mb1 & Mb2 feel while clicking? Can I spam the buttons like on my Deathadder Elite? I really want to try out the shape, but I’m not sure if the huano switches will do their job in Mobas, which I play quite often. I definitely feel like I can spam ’em, but I don’t play MOBAs, so I don’t quite have to spam as much as you do, haha. If you play MOBAs a lot I would honestly recommend you to check out another mouse. Logitech’s mice have amongst the best clicks in the business if you ask me. Thanks for your reply^^ I tried a lot of logitech mice what I can say is: In terms of the quality of the material they are top, maybe the best, but it’s actually scary how uncomfortable all the mice of the G series are. The hump towards the back literally kills it for me. I think I will try out the Ec2b, since the return policy here in Switzerland for peripherals is 14 days and no problem. I know what you mean, but the shape of the G Pro Wireless is a big step forward in my opinion. That said, the EC is definitely a super comfortable series of mice so you can’t go wrong with them on that front. Currently using a Steelseries Sensei 310 and pretty satisfied (but haves some problems when I spray, it stops shortly and shoots again after that, so I may return it) – if it’s the case, I can spend a bit more. Would the EC2-B be the right for me? Or should I go for something bigger or smaller? The shapes aren’t really alike. If you like the shape of the Sensei I’d recommend the DM1 FPS or maybe something like the FK or S series. That said the EC series has a super comfortable shape so if you feel like trying something new I can definitely recommend that as well. I can’t really give size recommendations without knowing your hand size and grip style however.